If: February + Romance = Jewelry; Does February + Jewelry = Additional Insurance? - Scarsdale Premier Insurance Agency | Advocate Brokerage Corp. If: February + Romance = Jewelry; Does February + Jewelry = Additional Insurance? For many, February is all about romance and that equals gifts in the form of jewelry! The jewelry industry is booming during the month of February with sales over $3.5 Billion. For Advocate Brokerage, February often brings up the question: Do I have the right coverage for my jewelry? On the blog this week, we are going to talk about jewelry and bring you answers to some of the most common questions regarding insurance to protect your valuables. Do I need insurance for my jewelry? This is the most common question when it comes to jewelry and the simple answer is yes. Whether you are a collector, the keeper of the family’s heirloom jewelry or the owner of a beautiful engagement ring, you will want the assurance that your valuables are protected in the event of theft, fire or some other unforeseen disaster. Does my homeowner’s insurance policy offer enough coverage? Probably not. Although a homeowner’s policy will provide some protection for your valuables, the truth is, the coverage is extremely limited. Plus any losses under your homeowner’s policy are subject to your deductable. Who should consider additional insurance for their jewelry? If you are the owner of an expensive engagement ring, a few special pieces with sentimental value or a significant collection, you might want to consider Valuable Items coverage. What do I need in order to obtain additional coverage? You might need to have your jewelry appraised or provide a copy of the original receipt. Depending on the insurance company, the appraisal or bill of sale might need to be no more than two or three years old. These documents will help you be sure the policy is adequate to replace the jewelry item in the event of a loss. It is a good idea to keep these documents in a secure location such as a safe deposit box or a fireproof home safe. It is also smart to keep a photograph of the piece along with your other records. This can make the process or replacing items easier should they become lost or damaged. If you are getting married and have an engagement ring covered under a rider on your homeowner’s insurance policy be sure to have the coverage follow you to your new home! Continue to have updated appraisals on your special pieces so that you can ensure the coverage you currently have is adequate. 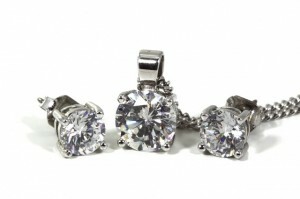 The information above covers the basics when it comes to insuring your jewelry. If you want to know more about protecting your shiny valuables, stay tuned…our next blog will provide a few more details and what to look for when purchasing Valuable Collections Insurance. Always feel free to give us a call, Advocate Brokerage would love to answer any specific questions you may have!